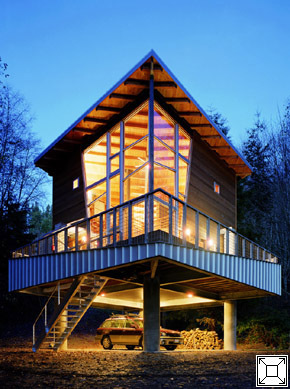 This 800 square foot vacation cabin is an abolute jewel in a beautiful setting. 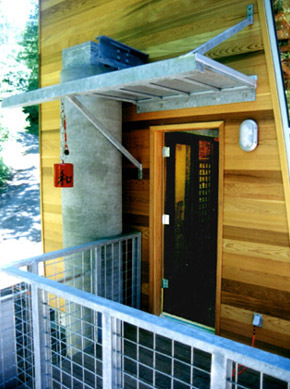 The natural ravine that breaks out to the beach creates the perfect combination of a protected environment and a fantastic view. 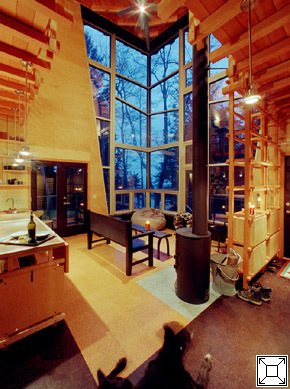 Everything in sight is designed and fabricated especially for this unique off-the-grid structure. 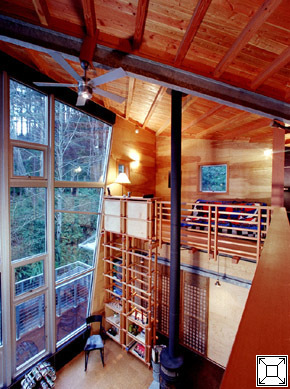 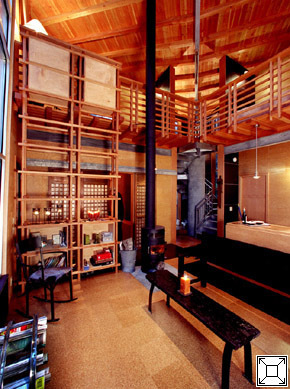 A two-story bookcase turns into a desk at the upper level. 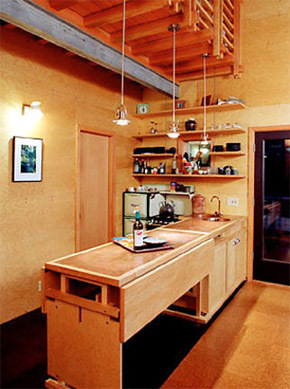 A kitchen counter transforms into a dining table with the use of hidden automotive jacks. 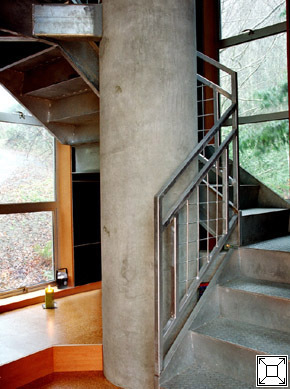 An entry stair drops down via electric winch for added security. 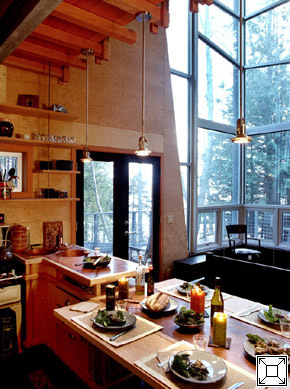 All of these, however, are carefully orchestrated to contribute to the overall design.